Eno is an antacid powder which is mixed with water to produce a sparkling antacid drink for the temporary relief of heartburn & indigestion caused by too much food and drink. 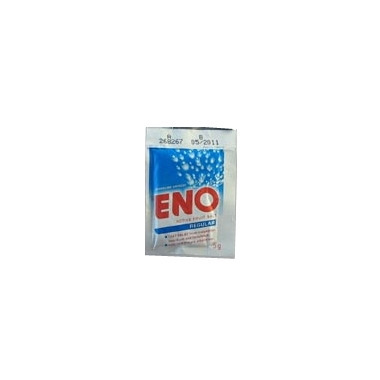 Eno contains sodium bicarbonate, sodium carbonate and citric anhydrous. I use it for several years, excellent for heartburn and after overindulging.